Thu., July 20, 2017, 7:16 p.m.
SEATTLE – Seattle Storm star Sue Bird announced that she is gay and is dating Seattle Reign and USWNT star soccer player Megan Rapinoe in an article from Mechelle Voepel of ESPNW. “I’m gay. Megan’s my girlfriend. … These aren’t secrets to people who know me,” Bird told ESPNW. 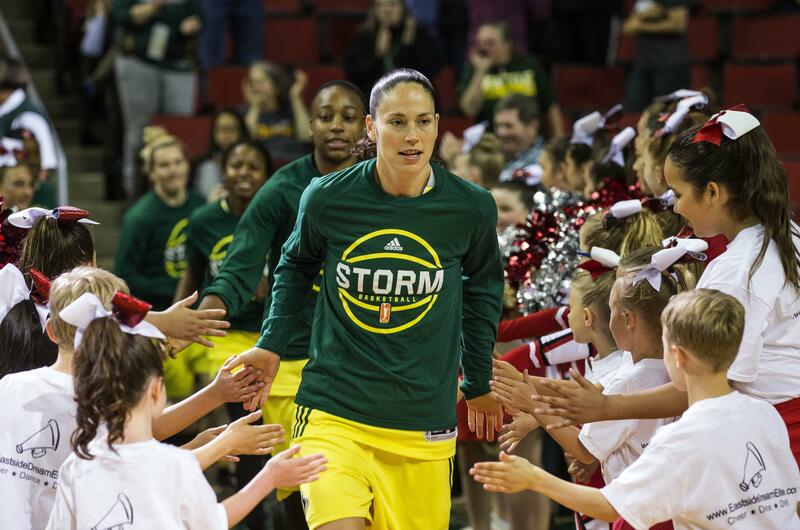 The timing of the announcement coincides with Bird, 36, who is making her league record-tying 10th appearance in the WNBA All-Star Game on Saturday at KeyArena. Bird said she realized she was gay in college when she was a star at Connecticut. The Storm selected her No. 1 overall in the 2002 WNBA draft. In her 15th season, Bird is averaging 10.8 points and 6.9 assists. For her career, she’s averaged 12.3 points and 5.5 assists. Last year Bird began a relationship with Rapinoe, who is five years younger and began playing professional soccer in Seattle in 2012. Published: July 20, 2017, 7:16 p.m.